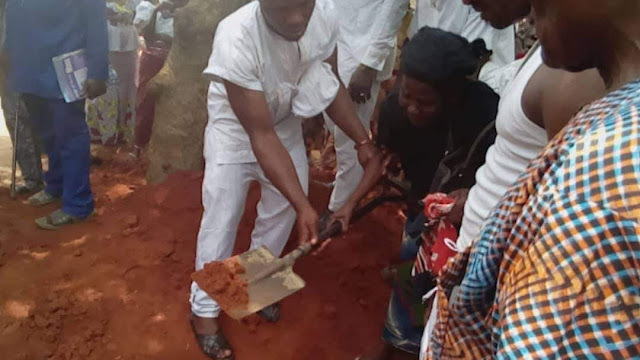 Home Unlabelled IPOB VETERAN FAMILY PAYS LAST RESPECT TO LATE MRS ROSE UKAMAKA OBI ………. IPOB VETERAN FAMILY PAYS LAST RESPECT TO LATE MRS ROSE UKAMAKA OBI ………. It was a great day at Okija, Anambra State, Biafra land, as Biafra war veterans were seen with Biafra flags all over the residence of Lt. Col. Felix Obi to pay last respect to his late wife, who was laid to rest on the 27th day of March, 2019. Sacred Heart Catholic Church, Ogbenabu, Okija parish, members of the parish who were led by Father Nwereonwe who represented the presiding Parish priest - Father Felix Obi, conducted the whole funeral activities and laid her (Late Mrs. Rose Ukamaka Obi) to rest. 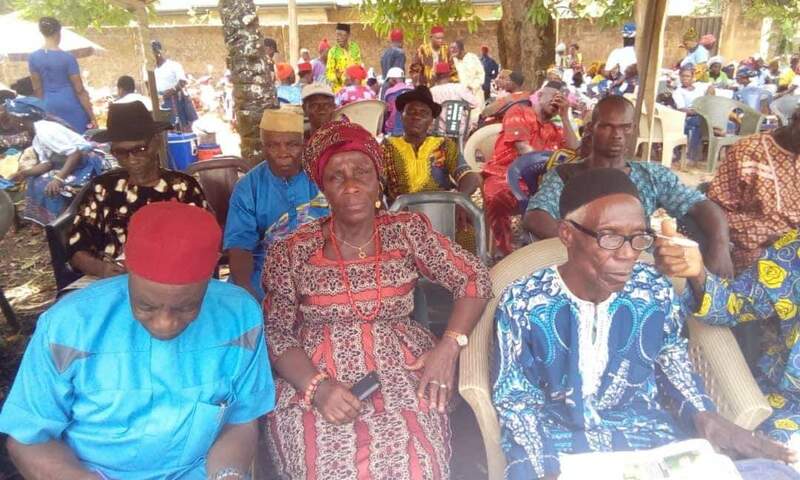 Biafra war veterans were not left out, they were seen marching towards the family of the deceased, and they shared some words of encouragement with them and made them to understand that there is still hope for the living. One of the veterans from the B4 Division in his own speech said: "Lt. Col. Felix Obi, we, your brothers, sisters and fellow veterans heard what happened and it pained us, that’s why we are here to console you because you are part of us". He went on to say, "We encourage you to never give up on the course for the restoration of Biafra, the Biafra war veterans will always stand by you at all times even in this time of sorrow. “Remember we have been our brothers’ keeper right from the beginning of time, even during the war, we shared our pains together, ate from the same plate, drank from same cup and we will not change from that slogan which has kept us going and that is Onuru Ube Nwanne Agbala Oso(Be your brothers’ Keeper)”. Furthermore, Col. Ejezie said, “Obi with pain in our hearts we have come to console you, I am here to represent our Commander, Gen. G.C. Ukwuije who was unable to make it down to this place because of other engagements. Firstly, I will have to pray that our good God will grant your late wife eternal rest, Amen, and as for others who are here today in their numbers to stand by you, may God continue to protect them and grant them journey mercies to their various home, Amen. “ I am happy to see you all. God will continue to keep and bless you all, because without God we are nothing. I am also very happy to see Mama Biafra (Col. Ejezie) in this place today, honestly it’s a very great thing and as you all go back to your various destinations, God will keep you all. "The truth is that no amount of money or gift can bring my beloved wife back to life, I pray that God will grant her eternal rest in His right hand. In less than no time Biafra will be restored and that’s what I fought for and will keep fighting for till Biafra is restored". Women from Sacred heart Catholic Church, Ogbenabu Okija parish, also were not left out, same with IPOB Igwebuike zone, Age grade, relatives and many others, too numerous to mention. Left to mourn the deceased are: Her Husband Col. Felix Obi, her children, Grand Children, In-laws, Mother and so many other relatives. She died at the age of 57years. It all ended in praise as everyone went home to their various destinations without any sad news.